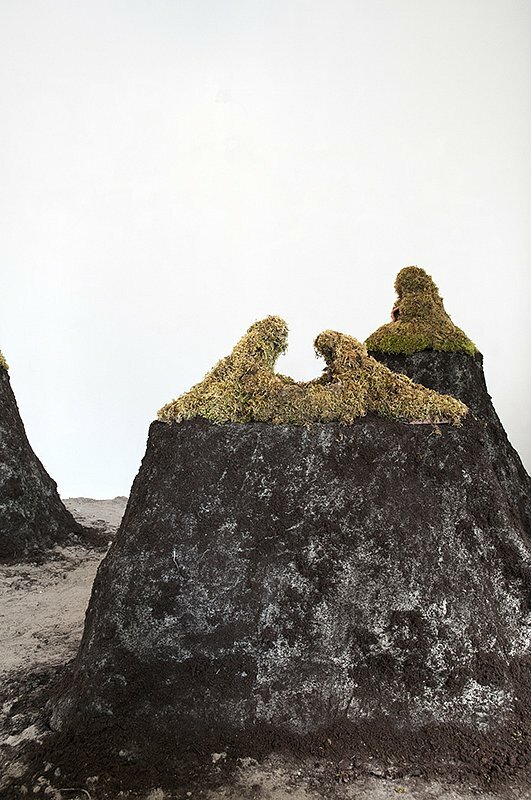 RE-UNION is an installation made with five earth elevations, ceramic and moss. It is a biodegradable work which fulfils its stages of life and death. 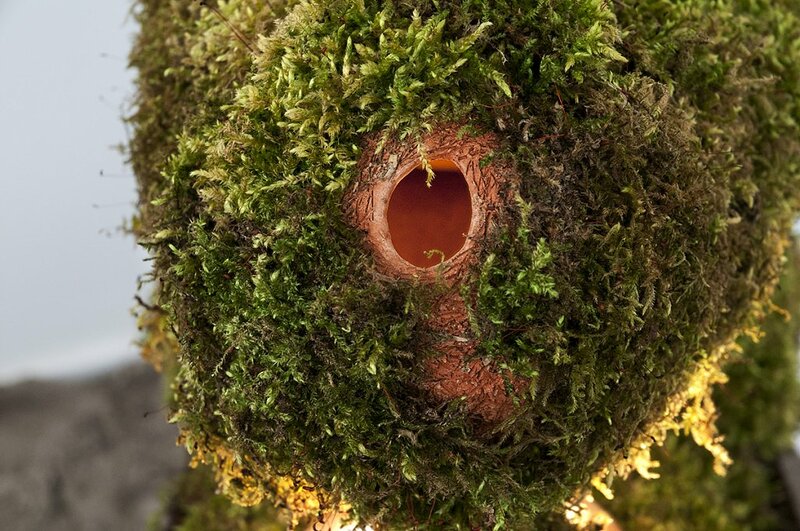 The exterior of each earth elevation consists of an interaction between ceramic and moss. 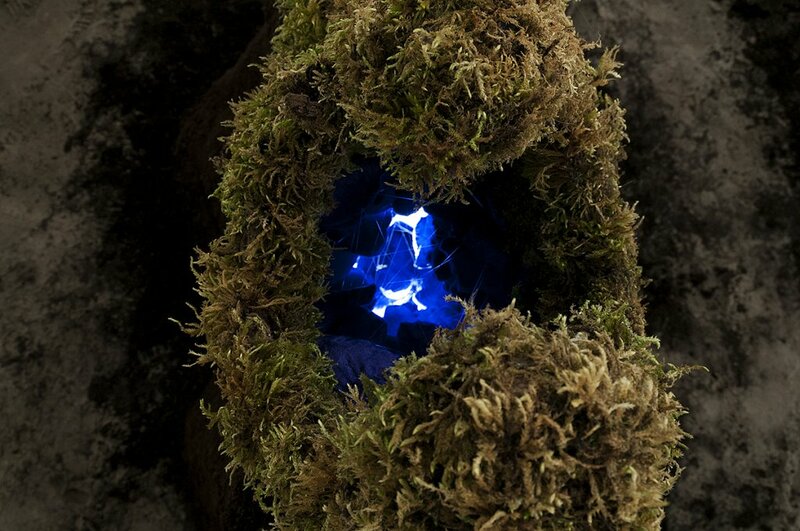 The moss was collected from forests in Germany and was cultivated on the ceramics through a biochemical process. 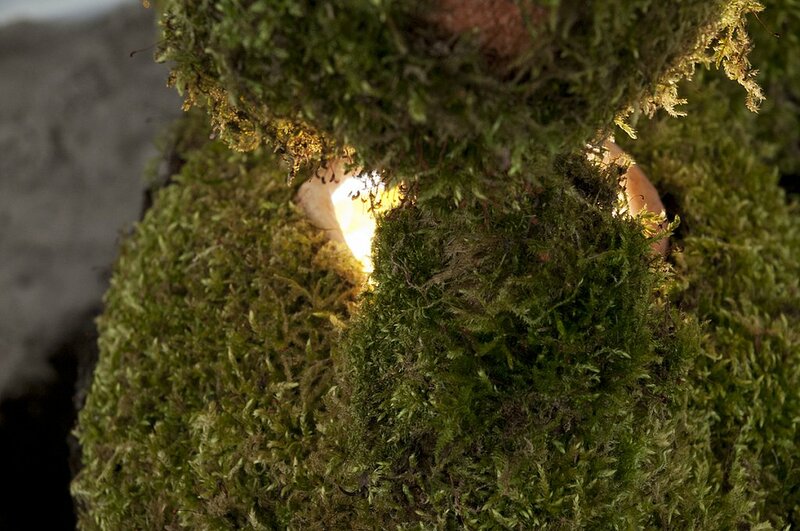 The materials used for this process were: the collected moss, beer yeast and pasteurized milk. 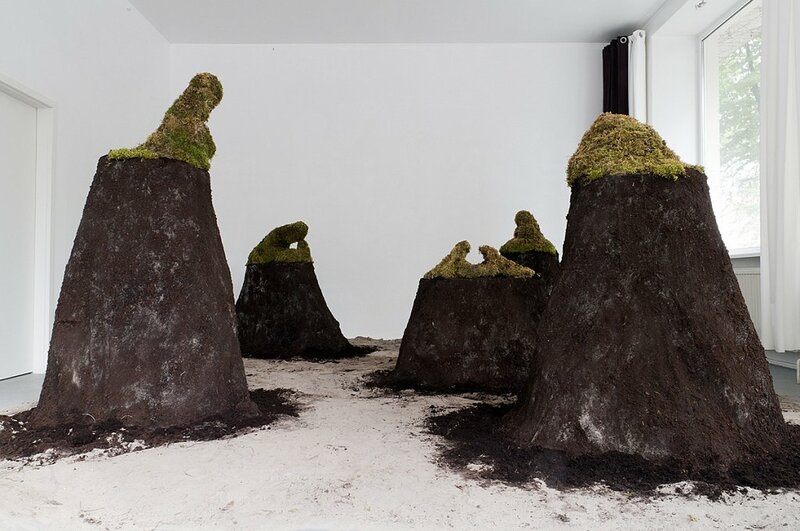 After the moss was adhered to the ceramics, it was watered daily with potable water until it reached its maximum size of approximately three centimetres. When the moss dries, it shrinks and fades. 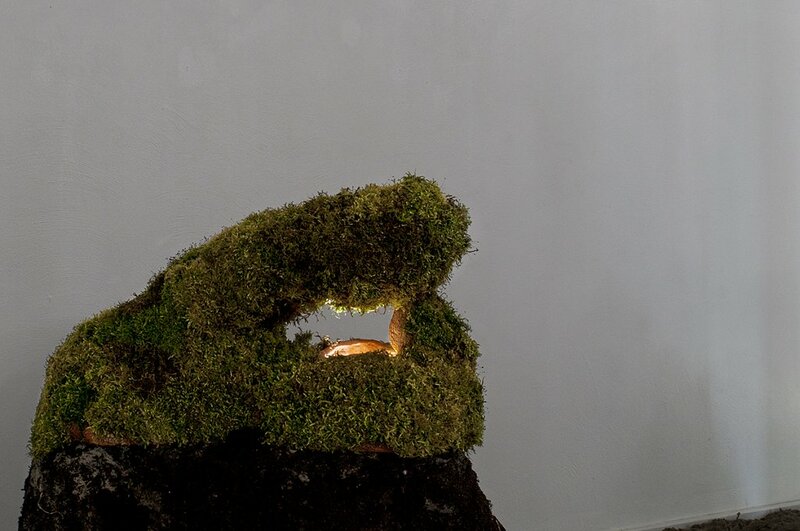 When the installation is watered, the moss expands, changes the color again and emits a pungent odor. 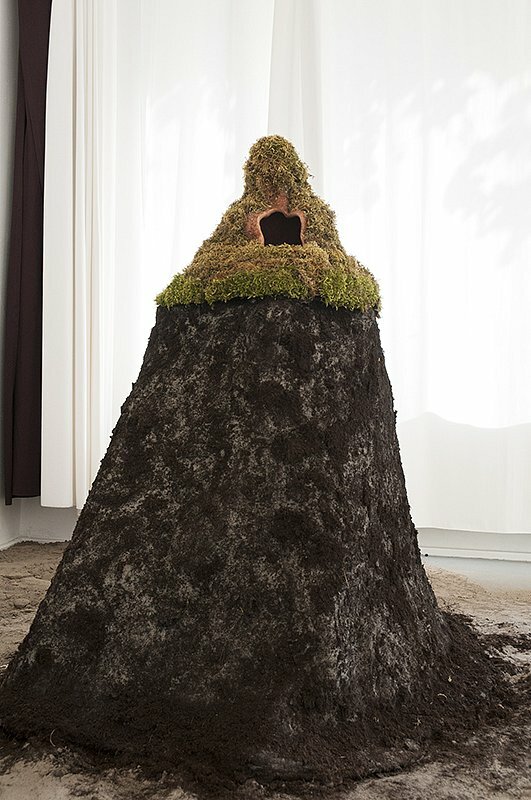 The ceramics with moss were embedded in earth elevations. 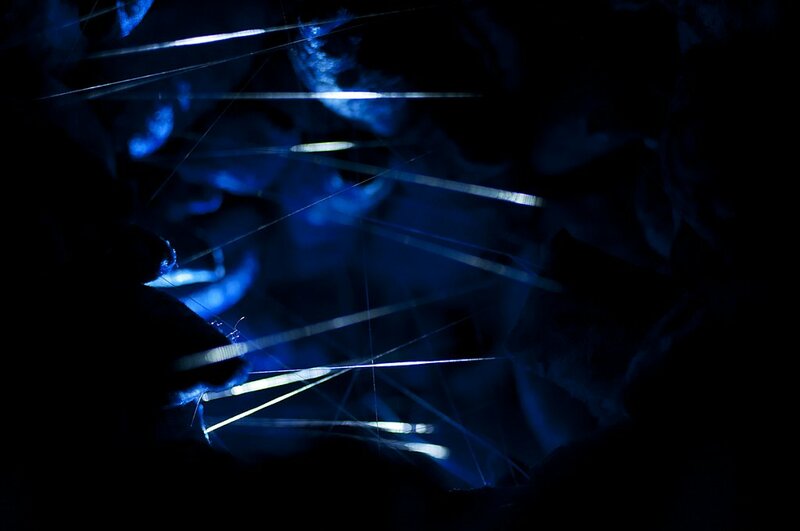 The interior of each elevation consists of an interaction between light, fabrics and threads. 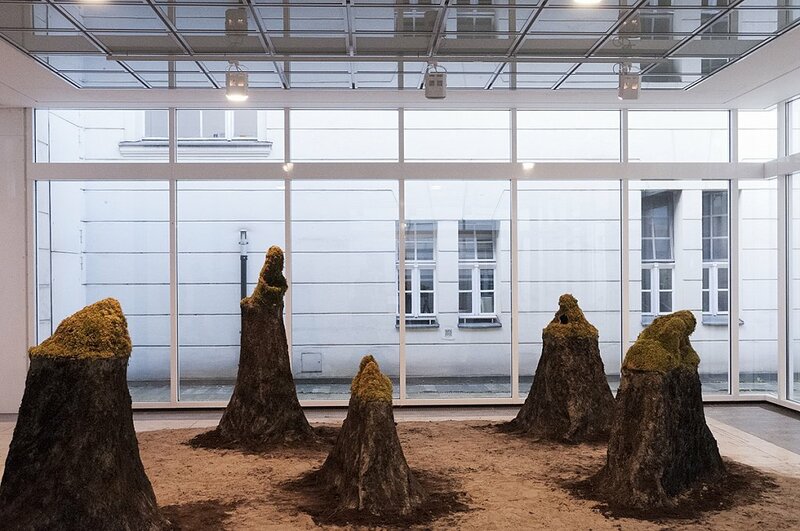 The exhibition room is covered with earth collected from the parks of Berlin. 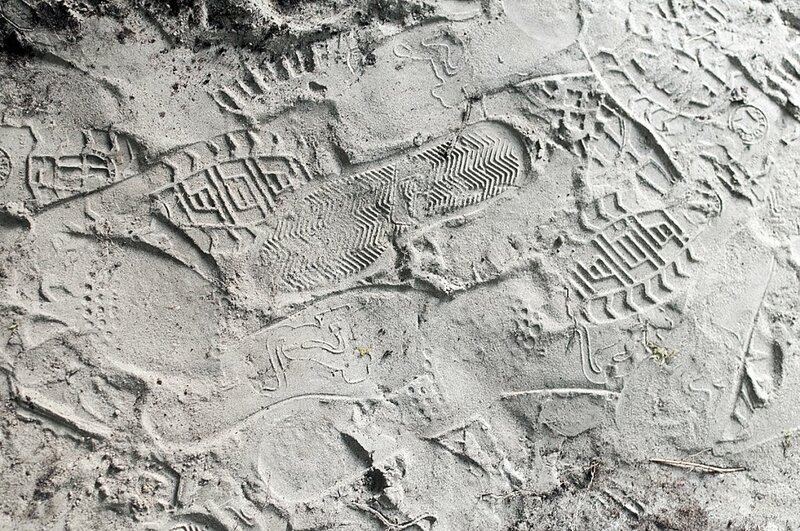 As the visitor decides to step on the earth, he/she merges immediately with work. In this way, the visitor creates himself his/her own path, his/her own different kinds of ways of perceiving the works. He/she is not led through something, but instead is provided with a set of choices. 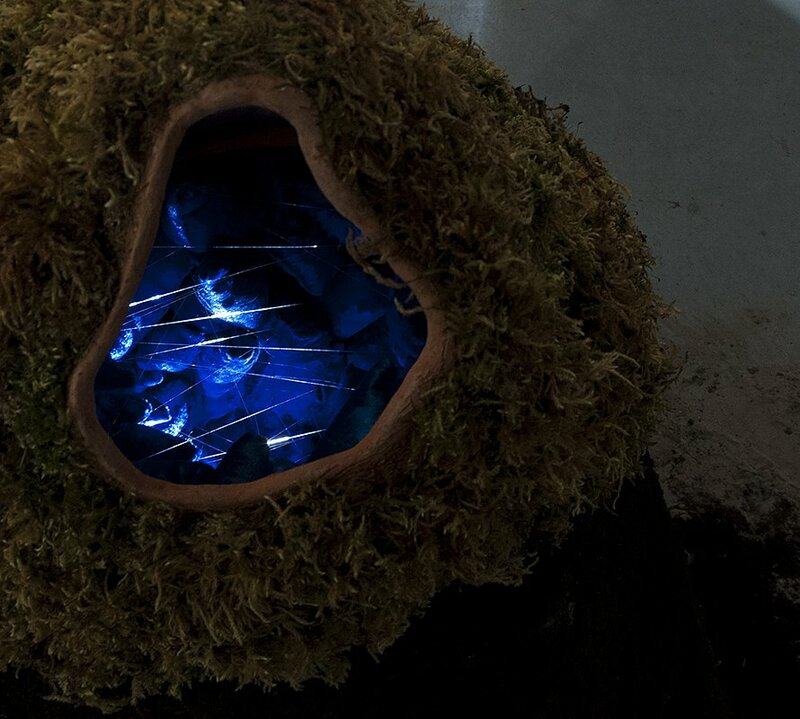 This work was inspired by the Kichwa cosmovision that speaks about the interrelation and balance between our spiritual energy "Qamasa", our life "Jakasa" and our death "Jiwasa", in order conform the welfare tissue, tissue of spirit life and death where the material is cemented by spirituality.